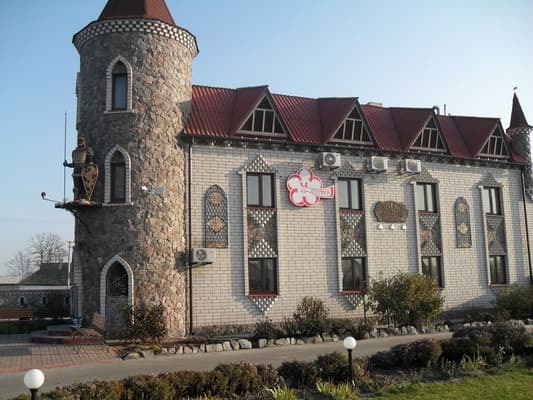 Motel "Castle" is located in the village of Lobkovaya Balka on the highway Kiev-Poltava. 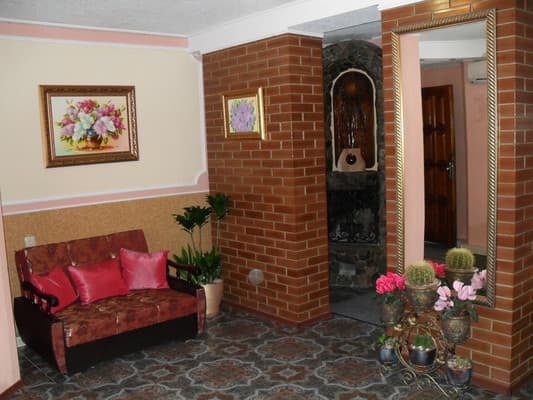 It offers 38 rooms from the "standard" to the "luxury" category. 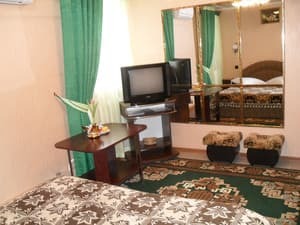 All rooms are fully equipped with wooden furniture, private bathroom, heating and air conditioning, TV with satellite TV, and a work desk. 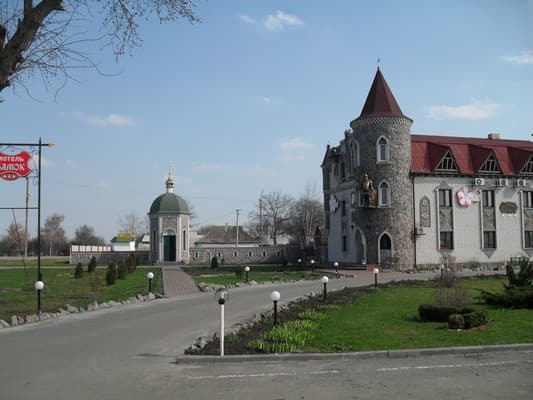 On the territory of the hotel "Castle" is a cafe-restaurant "At the sisters", where guests can taste traditional Ukrainian cuisine. Guests can also make use of the services of the conference room for banquets or seminars, as well as free Wi-Fi access and parking. 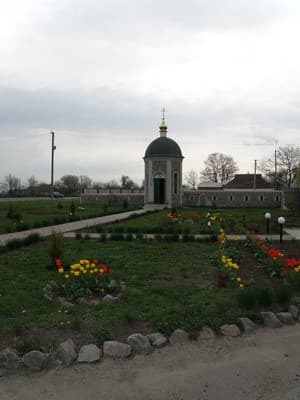 The distance to the city of Poltava is 111 km. 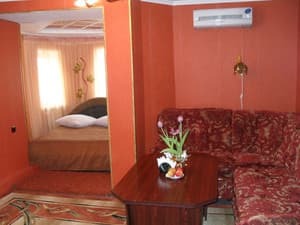 Description of the room: A cozy room with a large double bed with all the amenities. 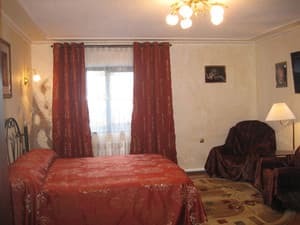 Description of the room: A cozy room with a single bed and one double. 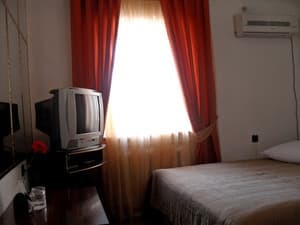 Description of the room: A spacious room with a large double bed, as well as with all the amenities. Attention! Rooms with jacuzzi bathtub and upgraded suites - cost specify when booking! Description of the room: Spacious two-room suite with a large double bed, as well as with all the amenities. Все отлично. Особенно радует ресторан. Качество блюд, выбор и обслуживание выше всяческих похвал. Пора бы поменять кровати. И дорогая стирка. Check arrival: from 17:00 - 18:00 hours. Check leaving: to 17:00 - 18:00 hours. Children under 10 years without a separate bed - free of charge. On the territory of the motel there is a restaurant of Ukrainian cuisine "The Sisters". 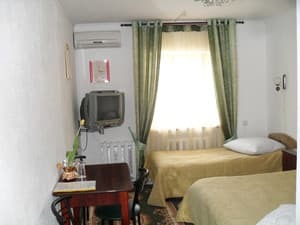 The motel is located on the highway "Kiev-Poltava". The most convenient way to reach the motel on your own car or order a transfer for an additional fee.